Children with learning disabilities require more exposure to a literacy rich environment and opportunities in order to begin developing a foundation for literacy. Understanding the literacy needs and limitations of children provides a critical platform for early intervention providers. 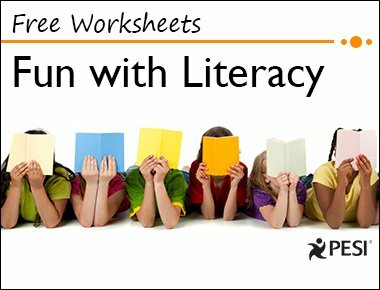 Many teachers and therapists acknowledge the importance of literacy for children with special needs, but feel inadequately trained on how to instruct these children in reading and writing. As providers, we not only affect a child’s current development, we also have the ability to shape a child’s future academic and social success. Incorporating literacy into therapy goals allows us as providers and parents to meet the developmental needs, abilities, and interests of children with special needs. 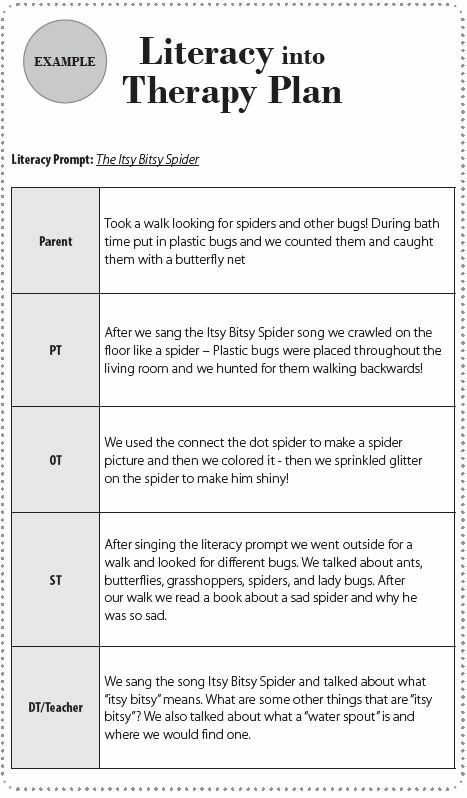 All children can benefit from being involved in oral language and print-related activities and that’s why I want to give you the Itsy-Bitsy Spider prompt and activity along with a blank Literacy into Therapy Plan you can use in your practice. 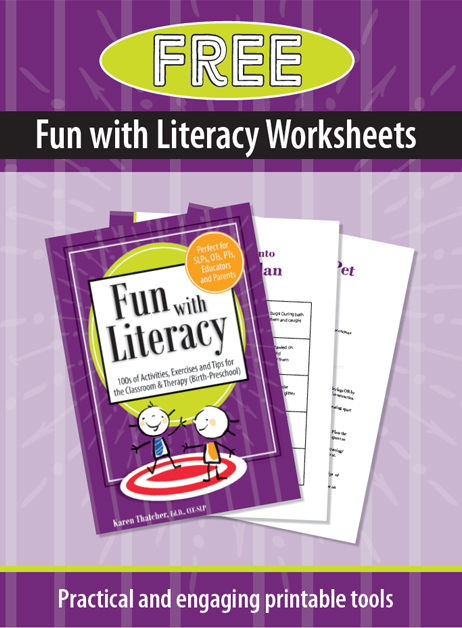 Download the Fun with Literacy Worksheets! Karen Thatcher, EdD, CCC-SLP, has over 20 years of early intervention experience, working on multidisciplinary teams to facilitate the language, social-emotional, cognitive, gross and fine motor, and feeding skills of children birth to preschool. She has also presented extensively to multidisciplinary audiences on how to incorporate literacy into therapy and a child’s daily routine.